Windows Phone 8 support ends in 2014. Then what? The countdown for Microsoft to end support of Windows Phone 8 and 7.8 has already started, and the two mobile operating systems could be orphaned as soon as the second half of 2014, according to Microsoft's own support calendar. The Microsoft Product Lifecycle support page indicates Windows Phone 8 and 7.8 are already past their lifecyle start dates. According to the listing, Microsoft plans to end mainstream support for Windows Phone 8 in July 2014, just 16 months from now, and support for Windows Phone 7.8 will end later in September 2014. Regarding the schedule, Microsoft said it “will make updates available for the operating system on your phone, including security updates, for a period of 18 months after the lifecycle start date. Distribution of the updates may be controlled by the mobile operator or the phone manufacturer from which you purchased your phone.” Microsoft hasn't made any commitment to updates for every compatible device. Early adopters of the Windows Phone experienced a similar story. Last year, Microsoft left behind users of the Windows Phone 7.5 OS, who could not upgrade their devices to Windows Phone 8. 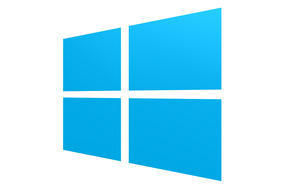 Those early fans had to wait for the later 7.8 release, which also does not allow an update path to the latest version of Microsoft's mobile OS. Since Microsoft did not confirm details of the next version of Windows Phone, it’s unclear whether this year’s Windows Phone 8 devices will be upgraded to what is currently code-named Blue, the next version of the mobile OS, expected before the end of 2013. 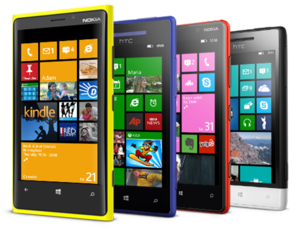 It does seem unlikely that Microsoft will abandon another generation of Windows Phone users. The transition from Windows Phone 7 to 8 implied the OS has a new kernel that is not compatible with the original Windows Phone hardware. But since the release of Windows Phone 8, Microsoft does not need to make major kernel changes that would require forsaking another generation of hardware. Chances are that Microsoft has merely stated how long it expects to support its current software ahead of a planned major update, and that once Blue arrives later this year, Windows Phone 8 users will get a yearly software update, similar to Apple's and Google’s update strategy. Yet, like Google, Microsoft is facing a challenge getting users updated to the latest version of the OS quickly, due to variety of manufacturers and carriers that must first test and approve the updates.